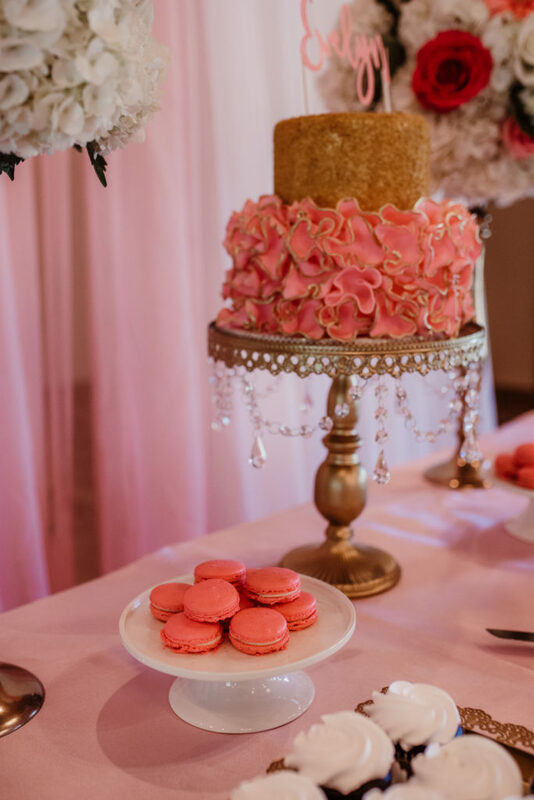 A few months back Events by Emerson had the pleasure of collaborating on a styled shoot with Lauren Hummert Photography and 1211 Bakery. 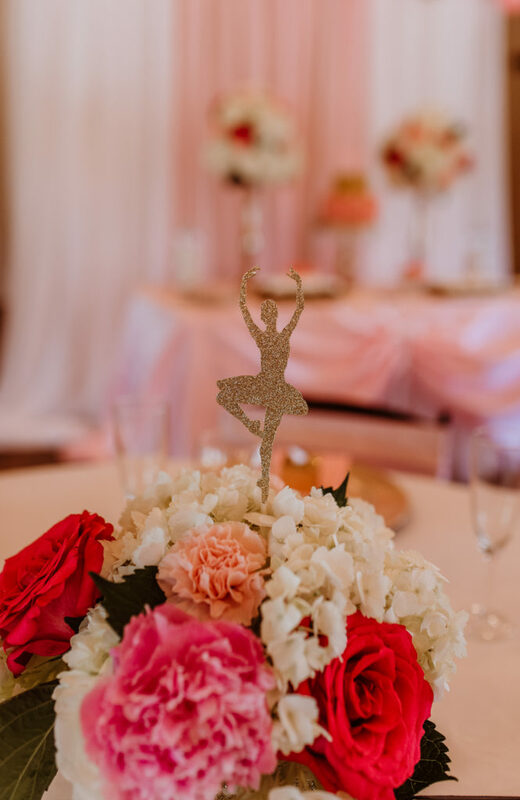 The concept was a ballet-themed baby shower brunch and the shoot took place at Willowood Ranch, a stunning 350 acre retreat complete with chapel, event center, multiple houses and cabins, ponds, hills, stunning views and more! 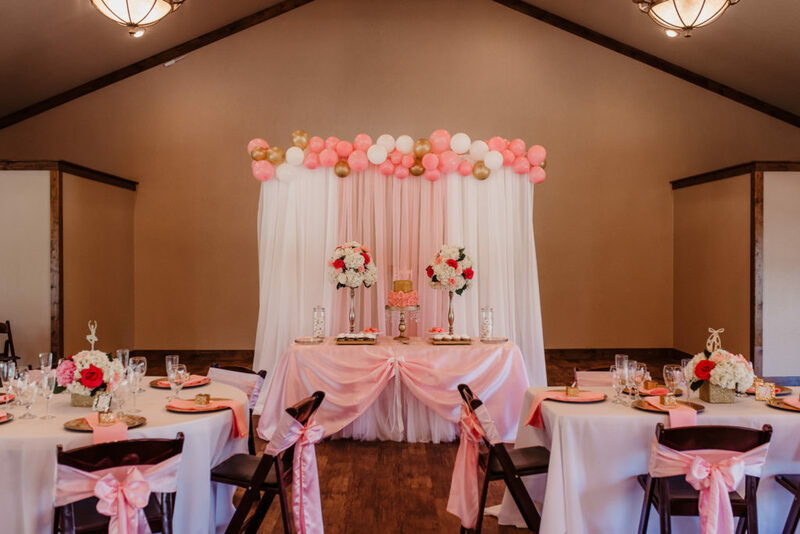 We focused on the event center and set up a pink and gold masterpiece befitting any excited mother-to-be and her family and friends! 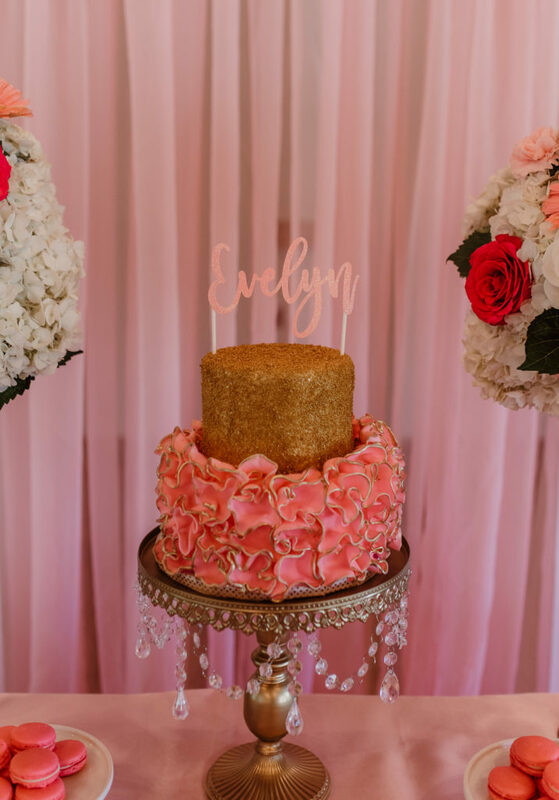 And one more photo of the cake that I took! 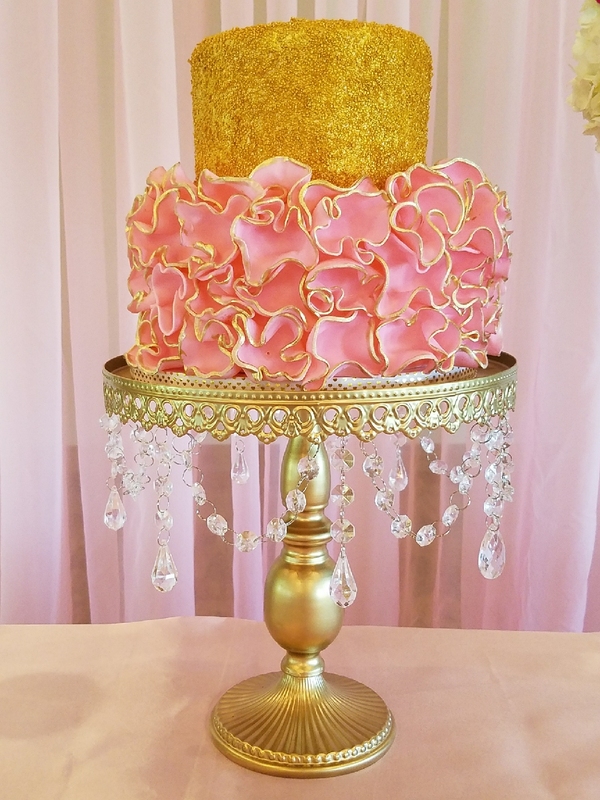 Shannon at 1211 Bakery did such an amazing job! 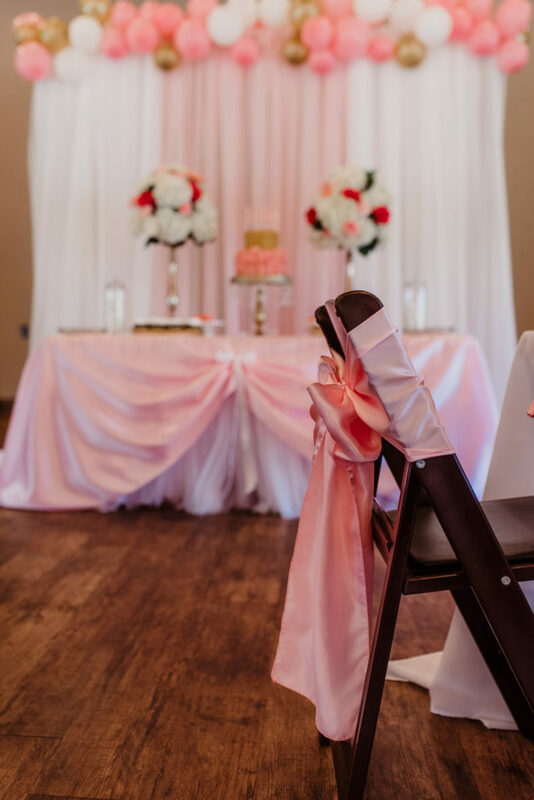 Events by Emerson offers event planning, coordination and decor services for weddings and special events in the North Texas area. Based in Sherman, Texas, Events by Emerson serves the Texoma area and parts of the DFW area. 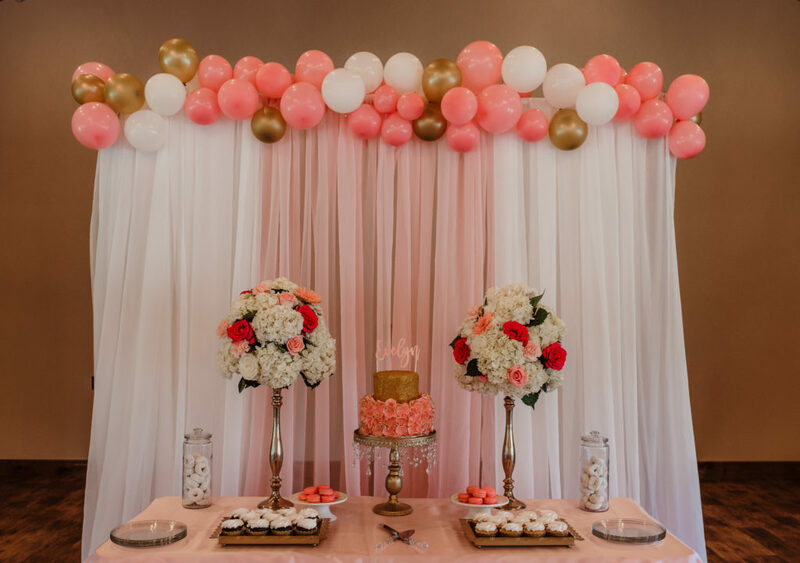 Contact me today regarding your event and how I can help! 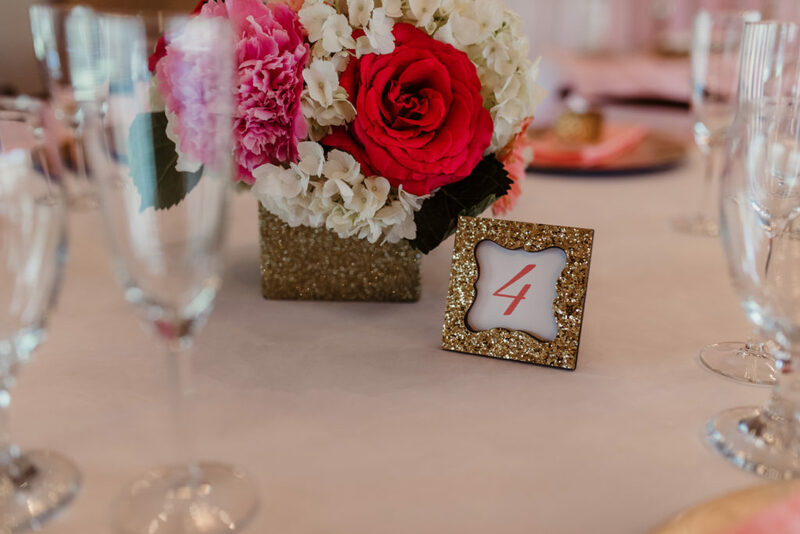 Whether it is full-service wedding planning you are interested in, 'day of' coordination, or simply individual decor services designed to take your event to the next level, I would love to help! 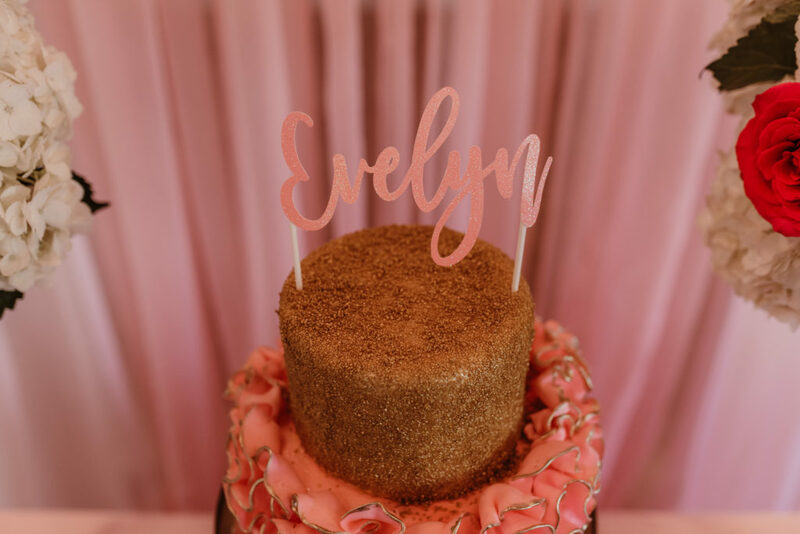 Weddings, baby showers, birthdays, engagement parties, anniversaries, bridal showers and more, Events by Emerson does them all! All styles and budgets are welcome! 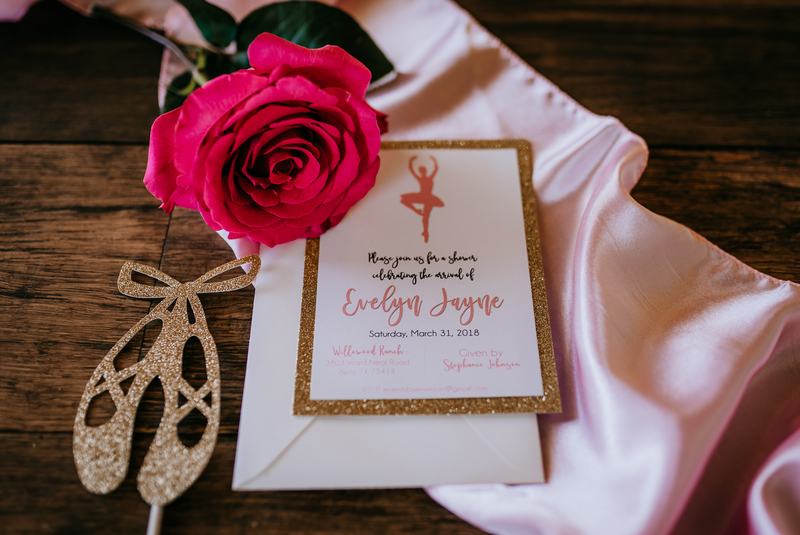 Email eventsbyemerson@gmail.com or call (903) 814-9849 today!